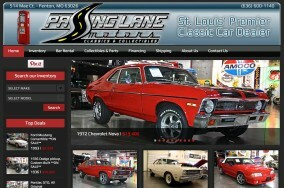 Listing data is available for any vehicle in the American market. This add-on is compatible with AutoMall , AutoDeals and AutoTrade themes. This add-on is compatible with AutoMotive theme. Complete WordPress auto dealership theme solution with ‘Pay Per Listing’ module for selling ads via PayPal, monetize your website and get paid instantly via PayPal. Have you visitors submit their listings for a fee (or free). Add your own global listing fee, customize messages and landing pages in your dashboard. Trade your Car submission form included. 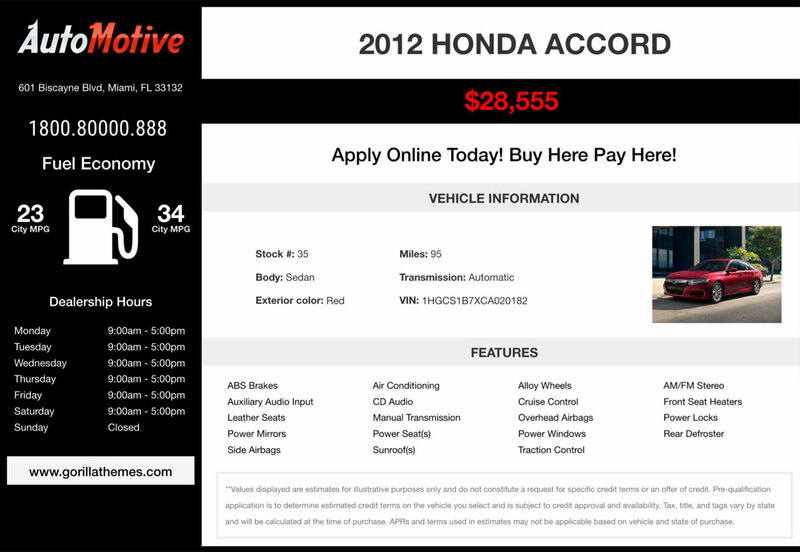 Select and compare up to 3 inventory listings each time or save unlimited car listings to favorites for later browsing. Create unlimited automatic scheduled imports with the Scheduler Inventory feed import or the included standalone file import bundle. Photos, data and all vehicle information will get imported at the selected scheduled times. 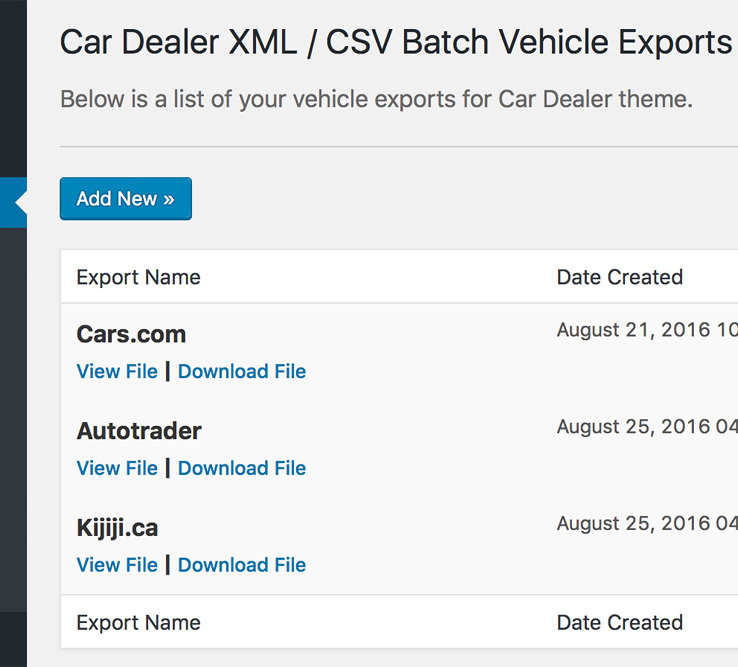 Create your feeds and export them ready for any car dealership web service. 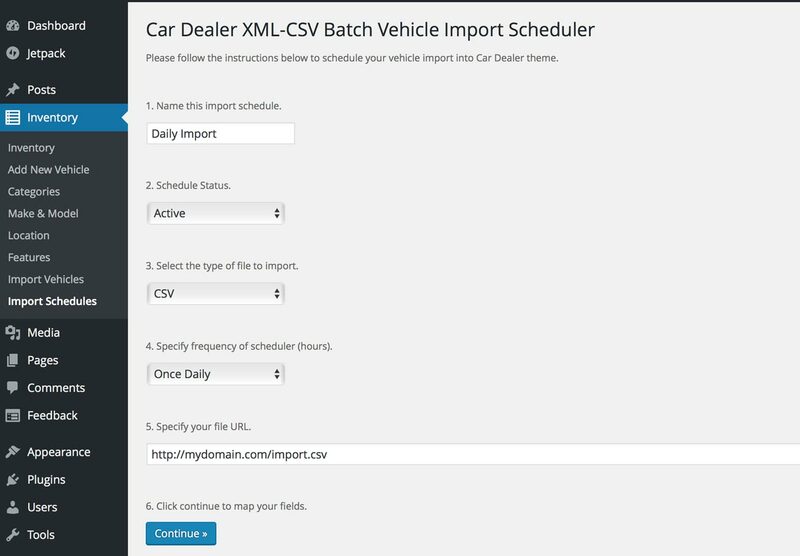 The Scheduler feed exporter allows the creation of dynamic unlimited individual url feeds of CSV and XML files created to send to multiple car listing services websites that allow XML and CSV file import like Autotrader, Cars.com, Kijiji.ca and any website that provide the ability to have a url feed import. 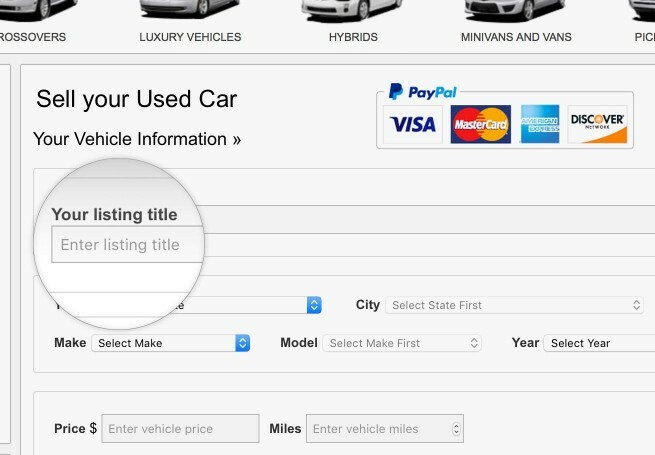 Create unlimited feeds with your own personalized fields for specific car dealership websites services. 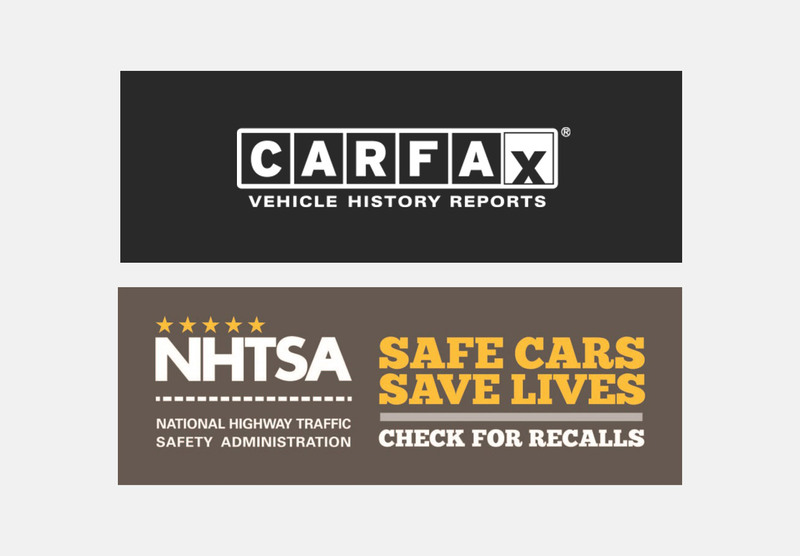 Add a widget to your inventory car listing page providing CARFAX Reports for your visitors and a Safety Recalls widget for unrepaired safety recalls provided by the National Highway Traffic Safety Administration (NHTSA). Have your visitors shop with confidence knowing that a condition or defect that could affect the safety or operation of a vehicle may exist in a specific vehicle or series of vehicles.